The medication Vyvanse, generically known as lisdexamfetamine dimesylate, is a prescription pill designed to treat attention deficit hyperactivity in both children and adults, as well as binge eating disorder. However, many people take it recreationally, abusing the medication for its stimulant effects. It is important that parents, caregivers, and other loved ones can identify Vyvanse in pill, tablet, and other forms. What Are the Product Forms of Vyvanse? What Ingredients Are in Vyvanse? Lisdexamfetamine looks different depending on which form of the pill is taken, the strength, and whether the medication being consumed is the brand name Vyvanse or a generic version of the drug. 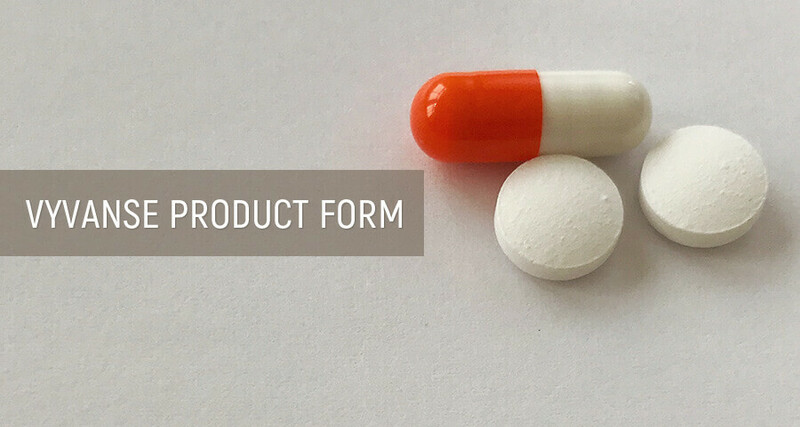 The most common product forms of lisdexamfetamine available are capsules and chewable pill tablets. How to take Vyvanse will depend on the form and strength. Vyvanse extended release, also called delayed release, is the only formula made. The most commonly available version of the drug is the blue and white Vyvanse capsule pill. This is the 50 mg lisdexamfetamine capsule. It is oblong in shape and has the imprint S489, 50 mg. 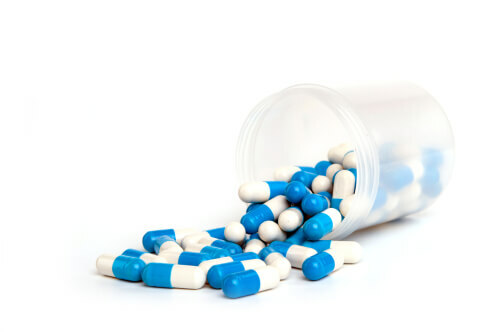 The next most common form for the drug to take is the blue Vyvanse capsule pill. This is the Vyvanse 60 mg capsule. It is also oblong in shape and has the imprint S489, 60 mg.
Other pill capsules are made in 10 mg, 20 mg, 30 mg, 40 mg, and 70 mg strength, with the 70mg being the lisdexamfetamine maximum dose per day. These capsules range in color from pink to orange and blue. Identifying all of them will be an imprint starting with S489 and are followed by the strength of the drug. The most common and easily identifiable forms of lisdexamfetamine are the capsules and tablets. That is because these are the only product forms Vyvanse is manufactured in. However, they are not the only product forms the drug can take. Those who abuse lisdexamfetamine pills often alter the form of the drug when taking it to feel the effects sooner. Below are the various product forms of the drug that can be encountered. Vyvanse capsules are the most prescribed form of the medication. These pills are meant to be taken by swallowing them with water. They should be taken only as often as directed by the prescribing doctor. All versions of lisdexamfetamine capsules are hard pills, which break open once in the stomach, releasing the drug. Vyvanse chewable tablet pills are also commonly available. In general, lisdexamfetamine chewable tablets are only used with children and those who struggle to swallow pills. Those wondering how to get prescribed Vyvanse in chewable form only need to speak to their doctor about their aversion to swallowing pills. The chewable pills are flavored so that the taste is not off-putting. All Vyvanse pills that are chewable tablets will have the imprint of S489 on one side and the strength on the other. Some people using these pills prefer dissolving Vyvanse in water and then drinking it. With capsules, they break them open and let the medication inside dissolve in water. With the tablet pills, they either drop the pill in the water and let it dissolve lisdexamfetamine on its own or crush it and then pour the resulting powder into the water. Doing this can be a way of trying to experience the effects of taking the medication faster than through traditional consumption and may be a sign of abuse. Can you inject Vyvanse? Injecting and taking IV Vyvanse are not approved methods of consuming the drug. However, some drug users will attempt it by dissolving Vyvanse in water and then taking it intravenously. Ultimately, this offers no reward for the user. Lisdexamfetamine pills are manufactured so that the medication is coated by the protein lysine. This protein can only be removed by stomach acid, which means the only way to experience the effects of Vyvanse is by swallowing it. Lisdexamfetamine chewable tablets can be crushed until they are in powdered form. In general, powdered forms or drugs are used for smoking and snorting. Smoking Vyvanse is not an approved method of consumption not only because it is dangerous, but because—as with injecting it—snorting and smoking the drug bypasses the gastrointestinal tract. Since stomach acid is needed to release the drug from its proteins, snorting and smoking Vyvanse powder will have no effect. Snorting this drug can be a sign of addiction, so professional addiction treatment is required. However, the powdered form can be mixed with water and food and then consumed. What is in Vyvanse? The medication contains both active and inactive ingredients. The Vyvanse active ingredient is lisdexamfetamine dimesylate, which is also the generic name for the drug. 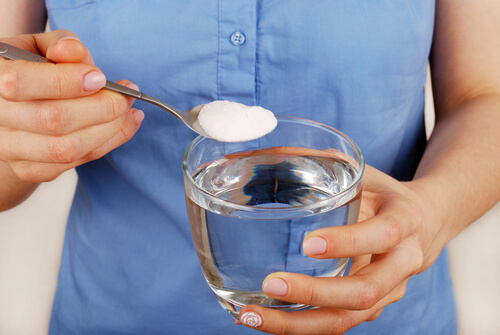 This active ingredient can be dangerous when misused. Thus no one should consume the drug without a doctor’s supervision. Choosing to order Vyvanse online without a prescription is not advised. There are other Vyvanse ingredients which are inactive, meaning they do not impact the person taking the medication. These inactive ingredients include microcrystalline cellulose, croscarmellose sodium, and magnesium stearate. Capsule forms of the medication include gelatin, titanium dioxide, and various dyes, depending on the color. Considering whether Vyvanse is a narcotic, the answer is No, but it is a Schedule II drug. As such, all forms of lisdexamfetamine are available by prescription only. Over the counter Vyvanse is not available. Lisdexamfetamine side effects can be dangerous, and when the medication is abused, the risk is even greater. In many cases, those abusing the drug combine it with other substances, such as Lexapro and Vyvanse, leading to overdose. Seek assistance from a reputable rehabilitation center if there is a suspicion that someone is abusing lisdexamfetamine.